JOIN WINNER INDUSTRIAL LTD is an exporter and manufacturer specializing in quality travel goods for worldwide customers since 1984. We have a well-equipped factory in China occupying an area more than 2000 square meters and 200 skilled workers producing travel bags, sporting bags, school bags, trolley bags, luggage and handbags made in nylon, polyester, canvas, pvc and other materials. We are not only to run a business, but also to consistently manufacture high quality and inexpensive travel goods for worldwide buyers. We take on this goal with pride. We have the benefit of a facility which contains all the equipment and personnel to make the bags. With more than 30 years experience, we have already built up very good reputation and popularity among overseas buyers. We win a high admiration and widely trusted abroad. Here are some of the well-known buyers have chosen us, such as Karstadt, L&F, Hema, Tesco, Vend, Penny, Aldi Mart, Real, Kauland, Edeka, etc. 30% of our clients started from 1980's. We have been steadily working to develop national brands in the bags industry for past decades. 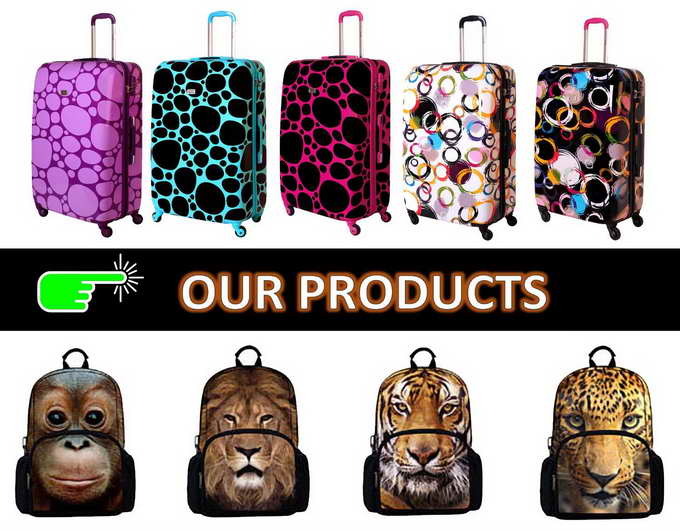 Our brands, Travel-line and 4ever, are sold well in the Netherlands, Germany, France, Italy, Belgium and UK. We are confident to satisfy buyers' requirements for quality product in every aspect. Our sampling department can assist in working out the designs in seven days. More than 10,000 different models are available in our library to catch up the market demand on time. We are consistently to make different options for selection. Whilst benefiting from our diversified latest designs, buyers always grant significant profit growth in long term. Excellent quality is at the top of our business pursuit. Quality control checks are performed throughout all stages of the production process. Regular inspections are also completed by fully trained operatives, who are given detailed job specification sheets to follow. Before production takes place, we process dimensional and visual quality reports. We also provide relevant certificates of conformity at the request. Because of tight quality control system, 98% of final products are up to buyers' specifications. Customer satisfaction is our final aim! We always appoint sales representative to communicate with buyers closely about sales prospects. Our service is 24/7 available. We also keep sending buyers our monthly designs as well as updating the timely market trends. We are confident to be one of your most reliable suppliers in Far East because we care about your success! Will we be your partner?